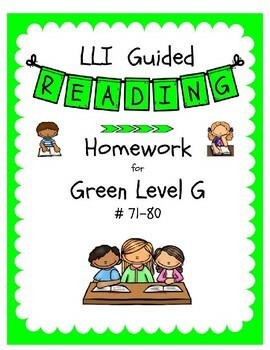 This product includes a homework sheet specifically designed for each book in the Green LLI intervention program for Level G, books #71-80. 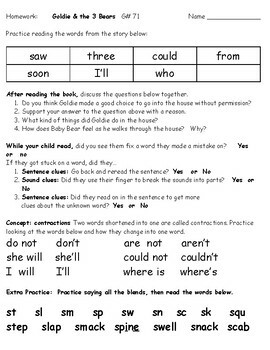 Each lesson provides sight words for review, explanation and comprehension questions for the parent to ask their child. 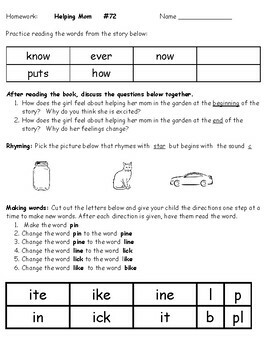 Lessons also include CCVC review, digraph review, contractions , silent e, as well as focused practice with using the "ed" suffix. 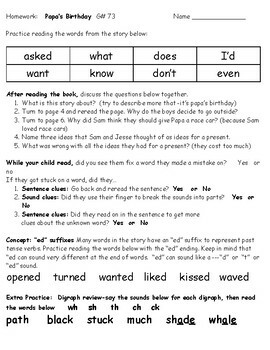 Each lesson also provides tips for parents in regards to reading strategies to prompt for when their child comes to an unknown word.